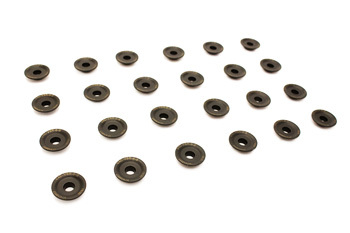 Made from hardened high-quality steel, our M54 Steel Alloy Valve Spring retainers are engineered for strength and durability. Steel retainers are good for endurance racing, but they can also be used for everyday driving. Designed to work with single or dual spring. They are black oxidized to prevent corrosion.